WHY ? : Surgical suture, holding body tissue together after an injury or surgery, is a complex product. The thread can be surface treated or coated for a number of reasons. One of them is to facilitate the insertion through tissue, the other to hold the knots tightly. Friction of the suture over skin, is thus important to control. 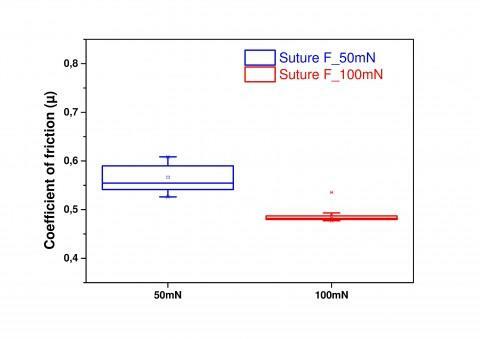 Measuring skin-suture friction allows improvement of these threads and their surface treatment. HOW ? : With the high precision friction tester Basalt-N2, it's possible to measure the friction between small components under relatively light loads, and with a very high precision. The sutures are used as-is, and tightened by a support. The skin is simulated in these tests by silicone elastomer, but other skin replica or even real skin can be used. Only a very small amount of skin is needed for these tests. With this setup, it is now very easy to measure the influence of many parameters : humidity, temperature, effects of different suture, influence of tension on the contact ('load'), durability, repeatability, etc. - The setup to test sliding friction between a suture and a skin replica, or skin sample is demonstrated. - Very repeatable friction measurements on the same type of suture can be demonstrated, making the method suitable for quality control and development. - Differences in coefficient of friction are small but can be distinguished reliably thanks to the precision of the instrument and the ease of doing repeat tests. 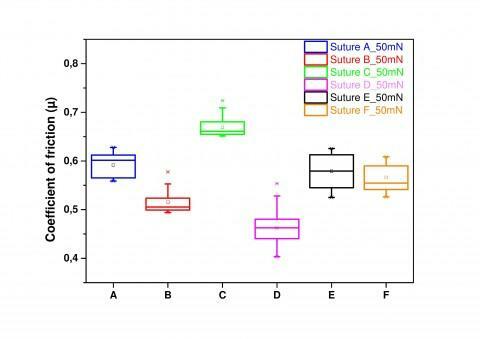 - Optimisation of the friction of sutures for different tissue types can be done, statistical data are easy to collect. WHY ? : Air conditioner compressor fluids have to prevent friction and wear under elevated gas pressure. 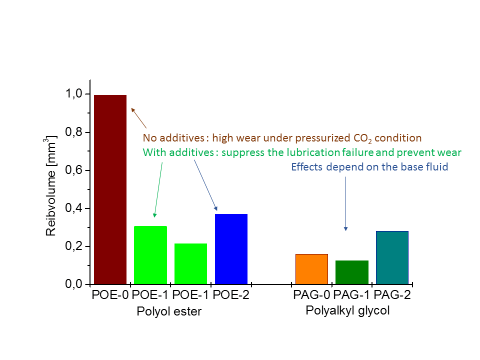 Standard Pin&Vee Block tests with gas 'bubbling' through the lubricant do not correlate with field behaviour, especially with CO2 as the cooling medium. Another simulation with pressurized gas is needed. We selected the Falex Block on Ring configuration, as it also recreates the line contacts and is able to work at higher speed than the Pin&Vee block machine. HOW ? : Our Falex Block on Ring machine allows pressurizing the lubricant chamber with a gas, up to 10 bar. 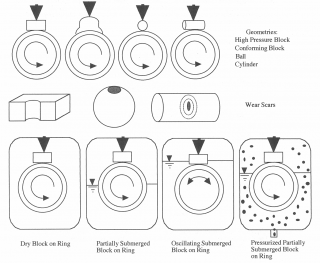 Standard block-on-ring tests are done with and without pressure on the dissolved gas. Tests with increasing contact loads (EP) and tests with constant load (Anti-wear) are done. - A sudden loss of lubricity in the CO2 pressurized oil bath can be measured. 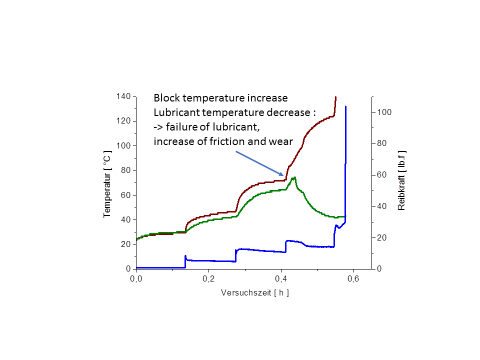 Block temperature increases suddenly at 70°C, while lubricant temperature decreases, which indicates that CO2 bubbles are forming in the interface between block and ring. This phenomenon is only seen when the gas is dissolved under pressure in the lubricant. - This leads to poor lubrication and increased wear. Thanks to right additives, this bifurcation can be eliminated and wear prevention can be significantly improved under pressurized conditions. WHY ? : Examples of corrosion are found in many industrial applications ranging from aeronautical, automotive, naval, and the construction industry over home appliances, water systems, pipelines, and ‘bio’ applications. Corrosion phenomena can be significantly accelerated by the simultaneous occurrence of a mechanical load on the surface: the formation of cracks and surface defects, along with surface strain and stress fields lead to faster diffusion of corrosive ions or the destruction of protective layers (depassivation). Thus there is a need to understand the synergy between wear and corrosion. HOW ? : An electrochemical cell was implemented in the Basalt-N2 tribometer. This setup allows for a fast and accurate measurement of the frictional behaviour of materials under various environments, whereas it is flexible and versatile in loading range (depending on the selecting cantilevers, load can range from 0.2 mN up to 100 N) and different contact geometries (point, line, area contacts) can be used. In this way both the tribological and electrochemical properties can be monitored and correlated. 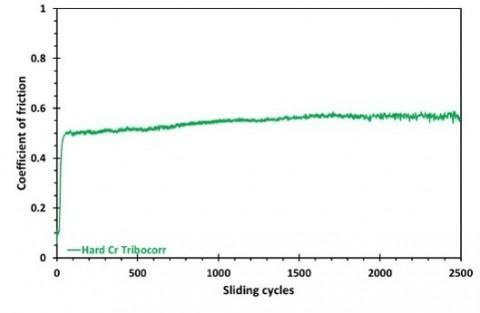 - The influence of wear on corrosion mechanisms, and vice versa, can be investigated. - Mechanical loading and shearing or rupture of the passivating layer accelerate corrosion (seen as sudden drop of the open circuit potential). - Corrosion processes can change the surface of the material (formation of oxides, hydroxides) and influence its frictional behavior. 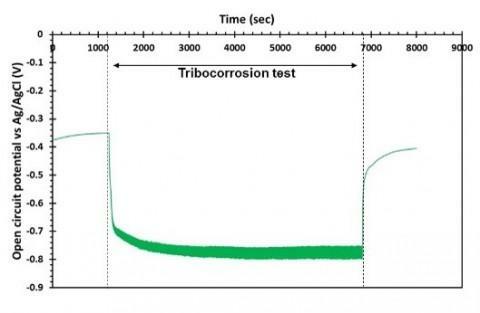 - In the majority of cases, the synergism between corrosion and mechanical loading accelerates wear processes but in some cases the synergy may be positive. WHY ? : the standard method for evaluating anti-wear of hydraulic fluids in a vane pump, is by the 100 hour ASTM or 250 hour ISO method, using a real Conestoga-built vane pump. This method takes a long time to run, and requires a lot of fluid. This makes it difficult to use the method for development or research. 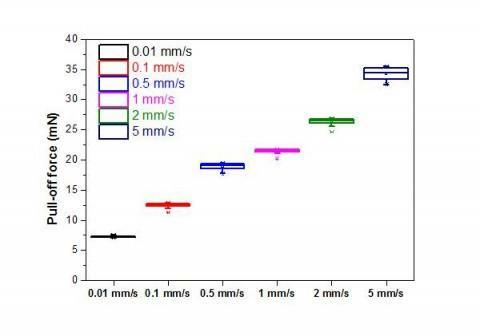 Various lab or bench test methods have been evaluted as a prescreening method, but none of them have shown any satisfactory correlation with real pump wear, so far (as clearly proven by the review of G.E. 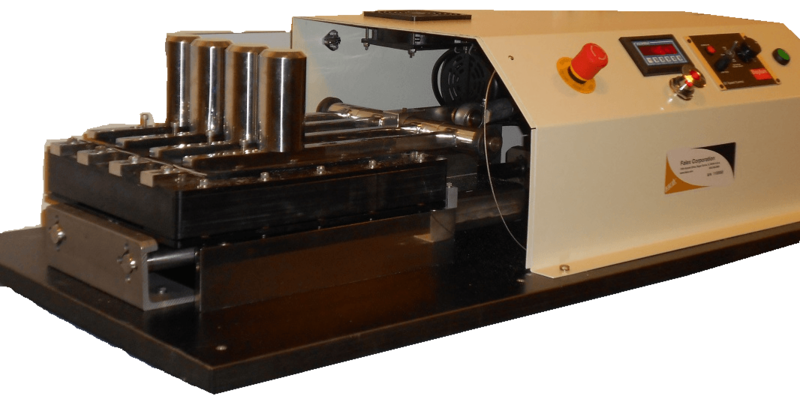 Totten 1996, Prediction of Hydraulic Fluid Performance: Bench Test Modeling, Dr: George E. Totten, Union Carbide Corp. Roland J. Bishop, Jr., Union Carbide Corp. Gary H. Kling, Caterpillar Inc. Presented at the International Fluid Power Exposition@ and Technical Conference 23-25 April 1996). Recent attempts to correlate an SRV based test have also failed the correlation test. HOW ? 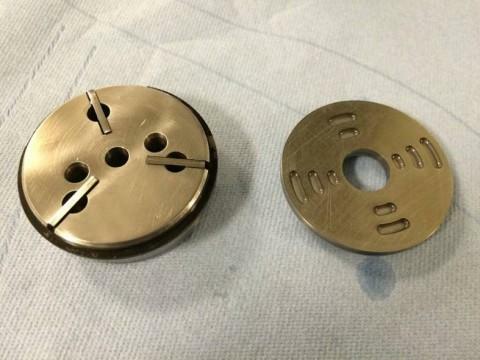 : We have studied the wear mechanism that takes place in a vane pump, and with the help of some special test specimens - designed for the Falex Multispecimen machine - recreated the vane contact vs. ring conditions, and the pressure pulses created by the inlet and outlet ports. By using these custom specimens and a recirculating oil system, we can run a wear test with similar test conditions, in 22 to 44 hours. By careful experimental design, we can run the test without creating excessive heat or catastrophic failure, so we focus on simulating the normal working conditions of a vane pump. 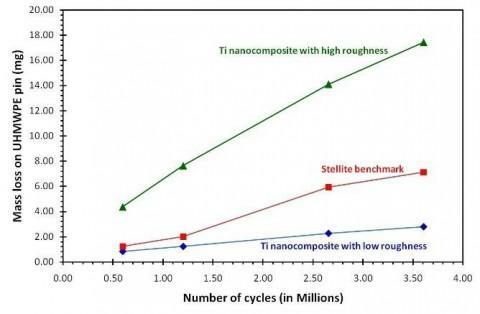 Take advantage of the use of nano-particles for production of composite coatings with superior properties compared to those of hard chromium produced by electroplating or to WC-Co produced by thermal spray. PROCETS main target is to deliver protective coatings covering a wide range of applications such as automotive, aerospace, metal-working, oil and gas and cutting tools industries via thermal spray and electroplating methods by utilizing more environmental friendly materials, compared to the currently used. This will allow the replacement of the hazardous process of hard chromium plating and WC-Co coatings via thermal spray. 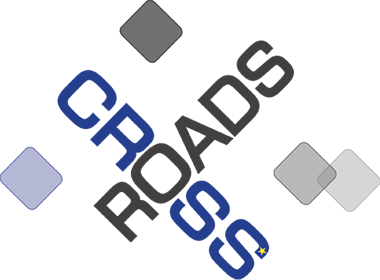 The development and exploitation of the technology as proposed by PROCETS project is based on a series of well-defined objectives. Apart from adherence to standards, a number of scalable methods and properties will be optimized, in order to provide the next generation of protective coatings that will enable the shift to more environmental friendly materials with enhanced properties. The aim of ASPECT is to develop advanced simulations technology to account for temperature increase and adaptive control systems to adjust the machine settings during the start-up of the production line. Top research capabilities on tribological simulations and process control are available in the Netherlands and Switzerland, while Germany, France and the Netherlands are hosting a high number of automotive, aerospace and consumer goods manufacturing lines. new design capabilities for metal alloys and lubricants. whole supply chain involved right from the project implementation phase. The long term benefits: products with complex shapes and based on advanced materials; highly skilled jobs; customer satisfaction ensuring competitiveness of the industry. One of the most widely used coatings in the world, is hard chrome as it exhibits unique properties that help prevent wear and corrosion. The annual cost of corrosion alone is estimated to account for 3.1% of the world’s Gross Domestic Product (GDP). Protective coatings help to reduce the cost of these deleterious mechanisms and thus are popular engineering solutions. However, hard chromium faces many problems: EU restrictions due to the use of hexavalent chromium; health issues for the plating industry personnel due to associated cancers; functional defects of the coatings; and, the low current efficiency in plating. There is therefore an urgent need to find an alternative which is the ultimate aim of this exciting new project. Research for SMEs Associations aims at developing technical solutions to problems common to a large number of SMEs in specific industrial sectors or segments of the value chain, through research that could not be addressed under Research for SMEs. Projects must be driven by the SME associations, which are given the opportunity to subcontract research to RTD performers in order for them to acquire the necessary technological knowledge for their members. Projects must have clear exploitation potential and economic benefits for the SME members of the associations involved. 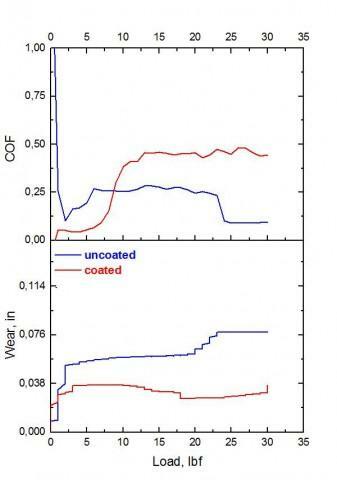 Practical Development of an Environmentally Friendly Antifouling Coating Material for use in Net. In the brick production industry, components used for the processing equipment (mixing, molding, extrusion) suffer from abrasive wear by the clay slurries. Since this clay differs from site to site, the abrasion damage can differ also. 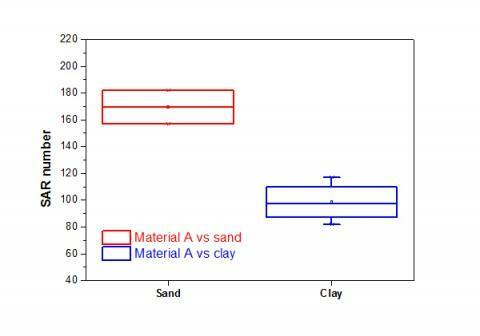 With this method, we evaluate not only material wear resistance, but can also define the abrasivity of the clay. Miller slurry abrasivity tests are performed according to ASTM G75, comparing the slurry abrasion-corrosion damage to materials from the production environment, where a clay slurry causes progressive wear. The Miller test is appropriate to perform a repeatable and realistic wear process, consisting of the combination of abrasive particle wear and corrosive interactions in the presence of some water. 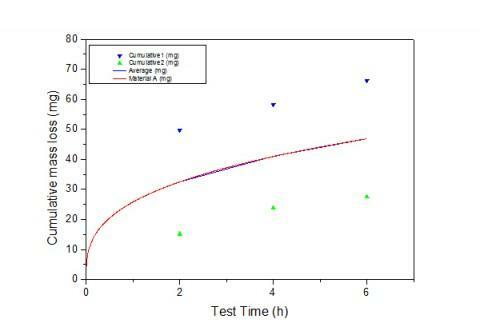 The test method has been traditionally used to evaluate both slurry abrasivity (Miller Number) or material resistance against slurry abrasivity (SAR number) for applications such as pumps, materials in dredging, mining, etc. Thanks to its specific design, the test machine creates a repeatable environment between the materials and the slurry, resulting in highly repeatable wear tests. The evolution of wear, and a convenient comparison of wear resistance of materials AND abrasivity of a slurry, can be measured in one series of experiments. Clays are mixed with water and some additional ingredients to obtain a 'flowing' slurry, so that the contact is refreshed on each stroke. The metal parts are cut directly from the processing equipment, to use the as-produced hardmetal coating as the test piece. Adapted Miller slurry tests are used to compare the abrasiveness of clay slurry with sand slurry or other clays. There is some more variation in the wear results in clay, due to greater inhomogeneity of clay as a slurry. 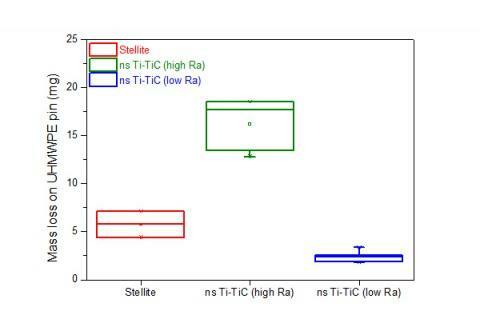 Baseline information when changing the tool materials : will other materials resist the clay wear better ? WHY ? : Abrasion and erosion mechanisms are quite different from each other, and can lead to very different material behaviour. For instance, a hard and brittle surface may be very resistant to abrasion, but sensitive to erosion under 90° impact. - ASTM G65 describes the method to rub solid particles tangentially over a material. 'Dry sand rubber wheel abrasion'. ASTM G75 uses a similar motion, but reciprocating and in a wet slurry. But it's still abrasion. - ASTM G76 on the contrary describes how to impact with a gas flow carried stream of particles on a surface under varying angles, between 90° perpendicular impact and 15°. RESULT : ductile vs. brittle materials behave very differently, depending on the impact angle of particles, and by extension, depending on whether it's abrasive vs. erosive conditions. WHY ? : In reality, due to a misalignment, vibrations or other reasons high speed pump rotors can come in contact with the stator, leading to a catastrophic failure. This failure is a result of severe shearing of the contacting surfaces. However, the existing ASTM Galling method (G 196), is performed at very high pressures and very low speeds, and does not simulate the “actual” conditions met at high speeds. Seizure or galling can be a major issue in all types of threaded assemblies such as fasteners, turnbuckles, check valves, sterns, inserts and electrical connectors. HOW ? 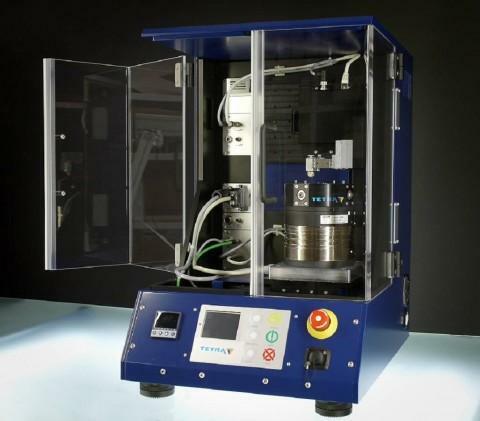 : Falex Multispecimen machine which allows for high speeds and contact pressures. 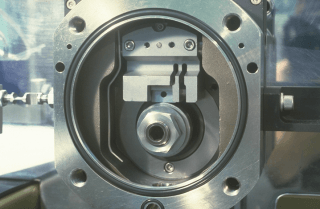 By using a stable a 3-pin on disk geometry, the examined materials can slide at high under high contact pressures, while the friction of the system is continuously monitored. - By evaluating the changes in the evolution of the friction, the speed and/or load limits where galling occurs can be evaluated. - Comparison of different materials under different galling conditions is possible. WHY ? : Lubricating greases are used in various industrial fields ranging from food, transportation, aeronautical, construction, mining and steel industry. The aim is to decrease frictional forces and to protect industrial components from wear and/or corrosion damage. Their performance depends on interaction properties like adherence to the substrate, cohesion or consistency, and tackiness. However, up to date there is no established quantitative methodology that can be easily applied to efficiently and accurately evaluate the adhesion and tackiness of a grease. HOW ? : A test procedure is established, based on approach-retraction curves, by using an upgraded TETRA Basalt-N2 micro-tribometer, with a Millinewton light load sensor. In this procedure a user selectable indenter body (ball, pin) gradually approaches the grease layer until they come into contact, then the indenter body keeps moving down until a pre-set contact load is reached. Then, the indenter body moves away from the greased substrate under well controlled conditions, until complete physical separation. During this approach-retraction cycle, the force on the load sensor is measured as a function of time and distance moved. This technique is the same as pull-off force experiments with an atomic force microscope for studying physical interactions. - The approach-retraction methodology combined with the Basalt-N2 high precision sensor provide a useful tool that is capable of evaluating the pull-off force and tackiness of greases under variable conditions, depending on the industrial application. 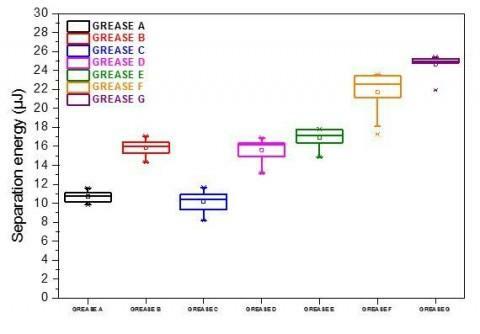 - The ranking of different greases at variable conditions is possible. This will allow developers and end-users to differentiate between available greases and select the one that fits better to an application, whereas grease producing companies can quantitatively evaluate the quality of their products more easily. The failure of the hip replacement is often a combination of tribocorrosion of the hip joint materials and inflammations due to wear particles in the body. A new methodology needs to be developed so as to allow for a fast prescreening of the reliability of new biomaterials, in conditions that simulate the actual conditions (e.g. environment, motion, contact pressure, countermaterial). Based on the pioneering work of Dr. Vesa Saikko, using a circular translation pin-on-disk (CTPOD) we applied the method with our multistation machine (Phoenix Tribology). To simulate the actual contact, ultra high molecular weight polyethylene (UHMWPE) pins were used as counter materials, the materials under investigation are nano-composite coatings. The tribosystem is immersed in a 10% bovine calf serum (simulating body fluids). 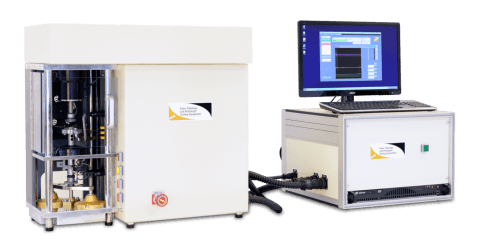 This test setup allows to run for up to 50 tests in parallel. After testing the weight loss of the UHMWPE and biomaterials was measured, whereas the surface morphology was evaluated by confocal microscopy. Spread on wear values confirms the need for statistical (parallel) testing. 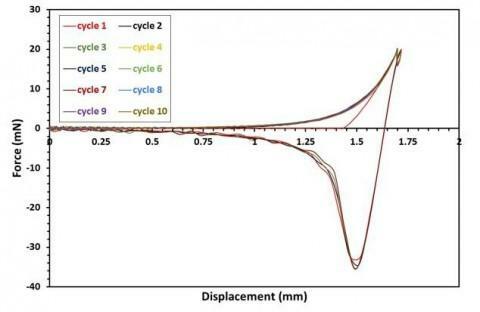 Repeatability of the wear resistance could be evaluated with a high confidence level. The weight loss of the polyethylene counter material strongly depends on surface finishing (roughness) of the coating. This methodology allows for a fast prescreening and ranking, in conditions that closely correlate to actual conditions. 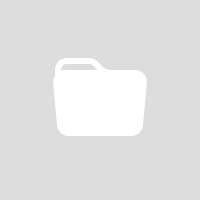 It is an essential tool for development and evaluation of new biomaterials.